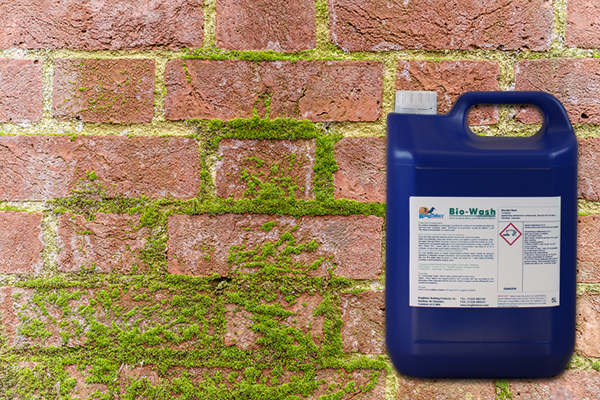 Kingfisher Bio-Wash is a deeply penetrating aqueous biocide cleaner which removes mould, algae, moss and lichen from external walls. 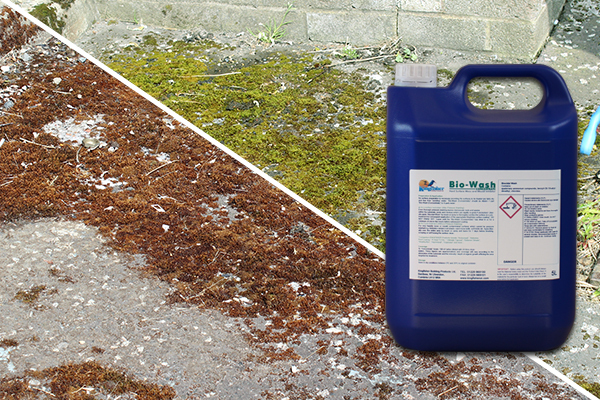 Our fungicide cleaner can be used to restore the colour of an existing external surface. It can also be used as a preparation to improve the adhesion quality for a proposed decorative coating. 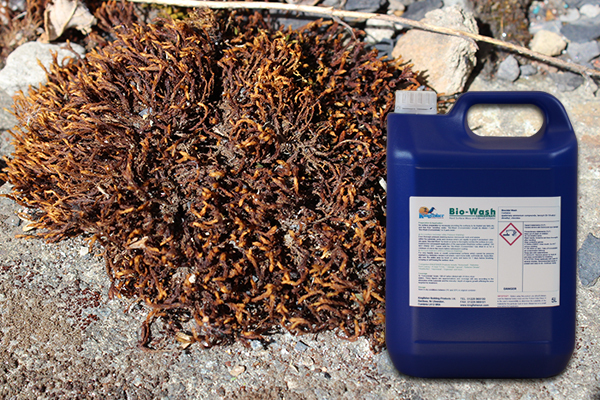 Our biocide cleaner destroys all micro-organisms due to its synergistic formulation. It exhibits a large spectrum of activity and a maximum efficiency of treatment. 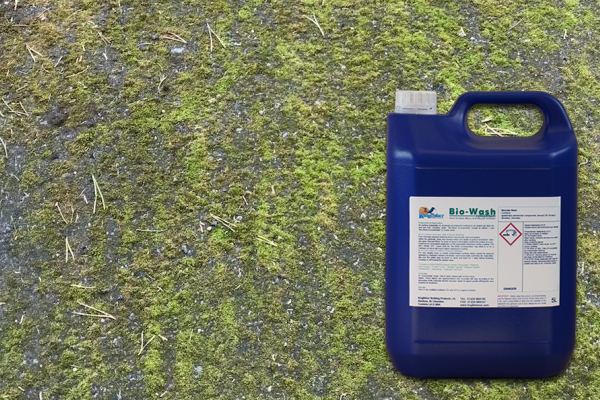 Dilute 1-part biocide wash with 4 parts clean water then apply using a brush or low-pressure spray ensuring thorough wetting. Leave for 5 or 6 hours or preferably overnight for full biocidal action to develop. Then remove any residual debris by brushing or power washing. As a high-performance biocide cleaner, it can give you stunning results over a wide range of applications. As a patio cleaner, a roof cleaner or a brick cleaner, it will always impress. Safe and easy to use, the Kingfisher Fungicide Cleaner can simply be sprayed over the surface. 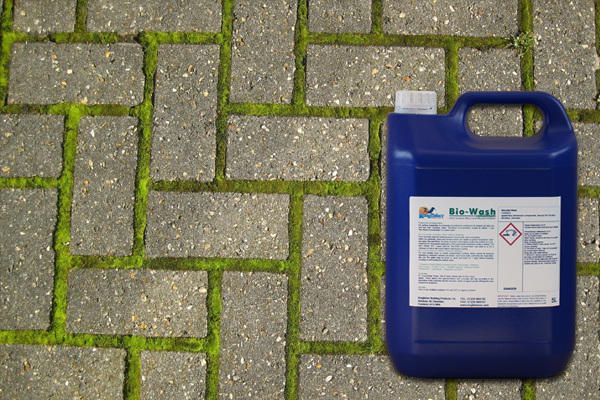 Paths and driveways can look as good as new using our first-class biocide cleaner. So, if you are looking to clean your exterior walls, paths or roof, the Kingfisher Fungicide Cleaner offers unrivalled performance. For more information regarding this product, don’t hesitate to contact us. Have used the Biocidal Wash as a surface neutraliser on our 18 year old patio slabs. After cleaning we applied the bio wash before sealing with K-Seal. The patio looks the best it's been since it was laid and no signs of any moss or lichen returning. I have been using this product for many years. I now use it in my property maintenance business prior to using masonry paint on walls and buildings. It has always given excellent results. Used it last year on my father in laws old cottage which had not been painted for 25 years. This property is on Bodmin Moor in Cornwall and gets some extreme weather. The paint looks superb with no re-growth of algae etc. Can't give it a better accolade than that.